Back in March I attended the Craft Market in the Shambles in Blandford with my Moo's, a couple of Alpacas and the odd Duck, I also took one of my recent Spaniel paintings, I've always felt its better for people to see a real painting of a Pet Portrait rather than just photos of my work. There was plenty of other talented artists and crafters attending so I had to refrain from spending all my takings! During the day I got to meet the lovely Sally, she popped over to look at my work after noticing the Spaniel and with her husbands Birthday just a couple of weeks away it gave her a good idea! The following week I popped over to her gorgeous cottage in Wimborne to meet Errol the Cavapoo and apparently a real Daddys boy! 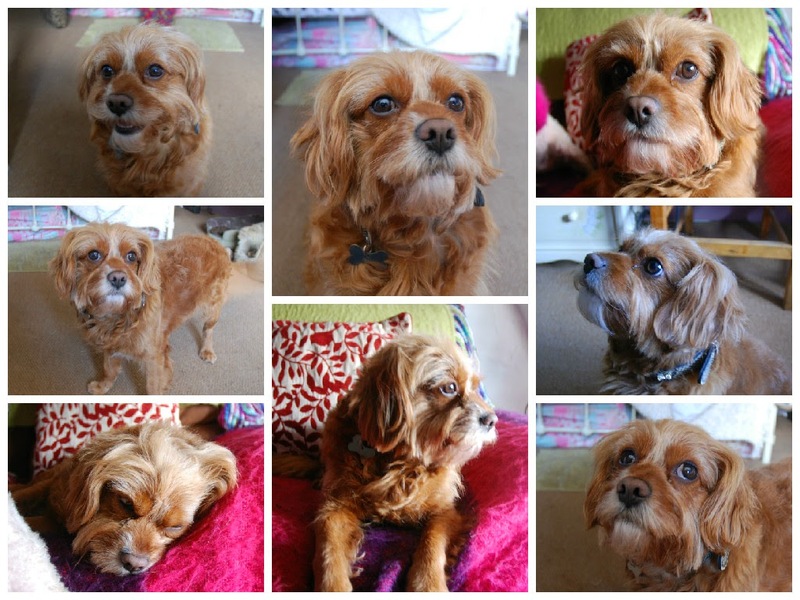 Errol is a cross between a Cavalier King Charles and a miniature Poodle, which I have to say makes for one gorgeous pooch! I also got to meet Sally's other two miniature Poodles who insisted on getting in on the photoshoot. Errol was the perfect model and I got some great shots as well as a fair few cuddles, after sifting through what seemed like a hundred pictures I made a start on the painting. 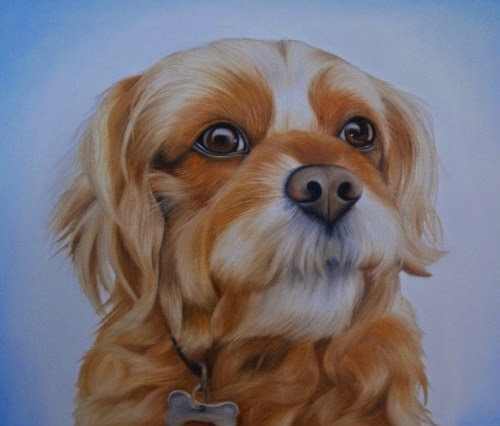 There's two bits I enjoyed most about painting Errol, firstly his big brown eyes and secondly his adorable heart shaped nose, it's these small details that can really add to capturing the character and personality of someones pooch. I dropped the painting round to Sally where she hid it away to surprise her husband later on, there is rumour that there was the odd tear but I wouldn't want to embarrass anyone! Sally later sent me a photo of Errol hanging proudly on the wall, it's great seeing my work in peoples homes.